The Election Commission's (EC) decision to stall the release of PM Narendra Modi till the end of 2019 Lok Sabha elections has stirred Twitterati. Ever since the news broke, social media has been populated with opinions and reactions (some even gave theories) surrounding the ban. Noted journalist Shiv Aroor said the EC must have reached the decision following unfavourable previews of the film. Have to wonder why decision has been so last minute though. Cynic in me wonders if maybe previews of the film have returned crappy reviews, so holding film back achieves 2 things — bad/pointless film stopped + Election Commission gets to score ‘neutral’ point amidst criticism. Indian National Congress spokesperson Sanjay Jha hailed EC's decision. TEDx speaker and writer Sanjukta Basu urged Indians to vote wisely in the upcoming elections instead of getting influenced by films. Noted journalist Madhavan Narayanan stated that audiences would have to now make do only with Tashkent Files. 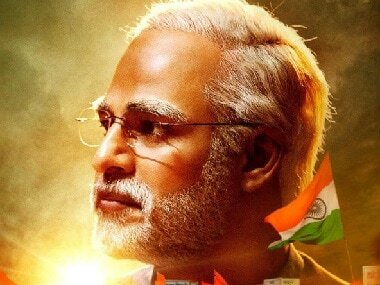 Election Commission banning the Vivek Oberoi-starrer #Modibiopic is illiberal. I hope the filmmakers go to court and the court strikes it down. Writer-blogger Sandip Ghose termed legal issues as Bharatiya Janta Party's (BJP) Achilles Heel. BBC cartoonist Kirtish Bhatt quipped that in the interim, lead actor Vivek Oberoi might as well ask director Omung Kumar to make a few sequels to PM Narendra Modi. Author and economic commentator Salman Anees Soz called the film ban nothing in comparison to "Modi's brazen use of sacrifices of soldiers for his political gain." Akash Banerjee, the host of political Satire web series The Desh Bhakt, said that many in India today learnt of the existence of the Election Commission and that it has "some solid powers." Film critic Anna Vetticad said her theory on PM Naredra Modi was that it was a hologram — "we are supposed to watch the trailer and imagine the film exists," she added. My theory is that the #ModiBiopic is a hologram - we are supposed to watch the trailer and imagine the film exists.